Choose Functional Test Fixtures Over In-Circuit Test Fixtures - EMC Technologies Inc. The electronic test industry has developed many different solutions for testing components and products over the years. Functional test fixtures, RF functional testing, and in-circuit test fixtures are by far the most well-known solutions. 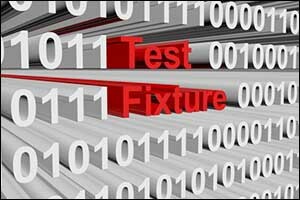 It is essential to understand the strengths and weaknesses of each type of testing systems and test adapters. This will help developers to choose the best solutions based on their individual needs that will provide the best and most comprehensive results. While very effective at uncovering defects in manufacturing, such as an open connection or a missing component, in-circuit test fixtures cannot test continuity through connectors. Because these fixtures cannot identify faults in connectors for printed circuit board (PCB) assemblies and ensure that the functions of the circuitry meet the manufacturer’s specifications, they are often not the best choice. The real strength of in-circuit test fixtures is their ability to test one PCB at a time and compare the results against a software model of the parameters for the component through schematic verification. Unfortunately, these fixtures do not test “at speed” and are unable to verify interoperability. However, functional test fixtures have the ability to verify that a printed circuit board (PCB) is functioning properly. They apply a stimulus to an assembly and then verify the response. This can be done with RF functional testing and RF circuit assemblies, as well as other types of discretely wired and wireless test adapters. Superior to in-circuit test fixtures in many ways, functional test fixtures are by far the option of choice for many clients and industries. Functional testing can be done “at speed” through the use of connectors known as a device under test (DUT), which provides many benefits. The ability to identify functional defects in a PCB and then assess the functionality with a marginal amount of voltage is used to protect the overall assembly during the testing phase. While there are uses for in-circuit test fixtures, most of today’s high-tech industries require the options and advantages that can only come from the use of functional test fixtures. At EMC Technologies, our team has developed a variety of test adapters and stations that can be used for RF circuit assembly and microwave sub-assembly testing solutions. The techniques and strategies that have been applied to these designs include a variety of unique options, based on the clients needs. Custom solutions can consist of a complete six-sided metal enclosure that is sealed with EMI shielded gaskets and RF silicone. This is used to isolate the unit under test (UUT) from electromagnetic interference. The designs that have been developed and manufactured by our team at EMC Technologies have incorporated a wide range of cables, connectors, switches, and sensors. Rigid coax cables, which are characterized by the lab, and connectors that include SMA (SubMiniature Version A) and BNC (Bayonet Neill-Concelman), and matched impedance traces in the PCB design and PCBs fabricated with Rogers Material. RF rotary switches, RF power sensors, and coax switches can also be used in our custom designs. EMC Technologies has many years of experience with contract manufacturing for clients who require printed circuit board (PCB) design, fabrication, assembly, and testing. We also specialize in electromechanical assembly. Custom wiring can be engineered and manufactured for simple projects on up to the most complex features. Our team can deliver superior custom wiring solutions for every need and requirement. Our built-to-print custom test adapters have been used in a variety of ways, from commercial jet LRUs to military products, serving many different industries. Our facility in Fall River, Massachusetts features a fully-equipped machine shop and electromechanical assembly department to provide us with the means to manage even the most demanding orders. Our team consists of mechanical, electrical, and PCB engineers and technicians, and we work with state-of-the-art design tools and equipment. Even our sales support group is made up of sales engineers, applications engineers, and technical project managers to better serve our clients. If you are interested in learning more about our options for RF functional testing, RF circuit assemblies, and test adapters for functional test fixtures, give us a call at 508-672-0808 and speak with one of our knowledgeable team members.